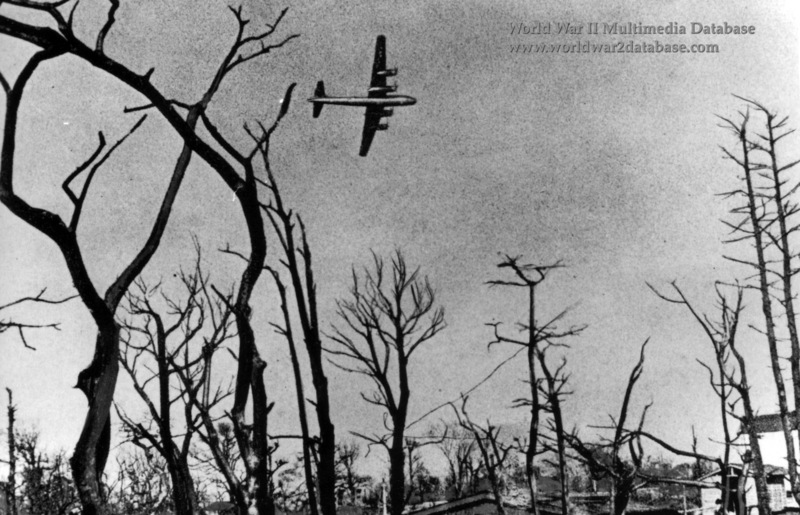 B-29 Superfortress flies over the ruins of the Shinjuku Gyoen (National Gardens). Opened in 1906 as the private gardens of the Emperor Meiji, the gardens had more than 20,000 trees, including approximately 1,500 cherry trees. Except for the Goryotei Pavilion, the park was burned out in May 1945. After the war, as part of the democratization of Japan and the change in status of the Emperor, the gardens were opened to the public on May 21, 1949.